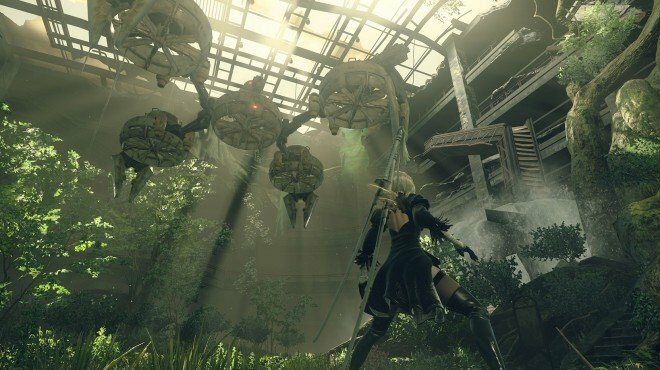 9S Captured is a Main Story Quest in NieR: Automata. "Adam has captured 9S - defeat him to save your partner." You will arrive at the Copied City during 9S MIA. Confront Adam (Boss) and your quest will update to reveal 9S has been captured. Fight the boss, and he will eventually reveal a crucified 9S to taunt you - he seeks for you to experience rage and hatred. Defeat Adam completely to finish the quest. Go to your Inbox to unlock the next quest: Olive Branch.